▸ The gist: Lewis reportedly flipped to a “no” on an amendment to create separate city and parish councils when he saw the way his district was redrawn in preliminary maps. As late as minutes before Tuesday’s council meeting, Lewis was shown a map that would give him a safely black voting district, potentially allaying concerns about gerrymandering and disenfranchisement. ▸ Some background: Lewis currently represents a consolidated district that’s 63 percent black and includes Downtown. A map published last Thursday removed Downtown from Lewis’ new district, placing it in Bruce Conque’s new district, and included a close to even racial split between white and black voters. Lewis indicated at Tuesday's council meeting that he was left out of the process of redrawing the maps, a complaint shared by fellow councilmen William Theriot and Jared Bellard. Lewis asked that the council to wait for the 2020 census to consider substantial changes to the charter. Several revisions have been made to appease Lewis’ concerns, a process reportedly hemmed in by Lewis’ residence in the north reaches of city limits. The latest reported revision, shown to Lewis before the council meeting, would create two majority black districts instead of one. Districts currently represented by Lewis and Kenneth Boudreaux would represent populations that are more than 60 percent black, arguably “safer” districts for either councilman to run in. Lewis has yet to indicate if the change would satisfy his concerns. It may be that his bigger concern is losing Downtown. I was unable to reach him for comment before press time. ▸ Yes, redistricting is ugly: And no, this doesn’t really look like gerrymandering. Something to keep in mind is that Lafayette is roughly 64 percent white and 31 percent black. By ratio, that would legally entitle black voters to 1.55 seats on the council. The last minute revision would provide, ostensibly, two black councilmen on the city council and one on the parish council. Downtown would also move to Kenneth Boudreaux’s district in that proposal. It would thus be hard for Lewis to oppose that revision on the grounds that it disenfranchises black voters. But there is another ugly truth at play here: Redistricting takes into account the interests of the politicians themselves. Lines are drawn to accommodate the ambitions and desired constituencies of the sitting council members. That’s as much true for Pat Lewis’ district as it is for anyone else’s. It’s not pretty. It’s politics. Lafayette needs less uncertainty from local government not more. But that’s not the direction we’re going. The gist: After weeks of speculation and backroom conversation, the effort to create separate city and parish councils has come online. 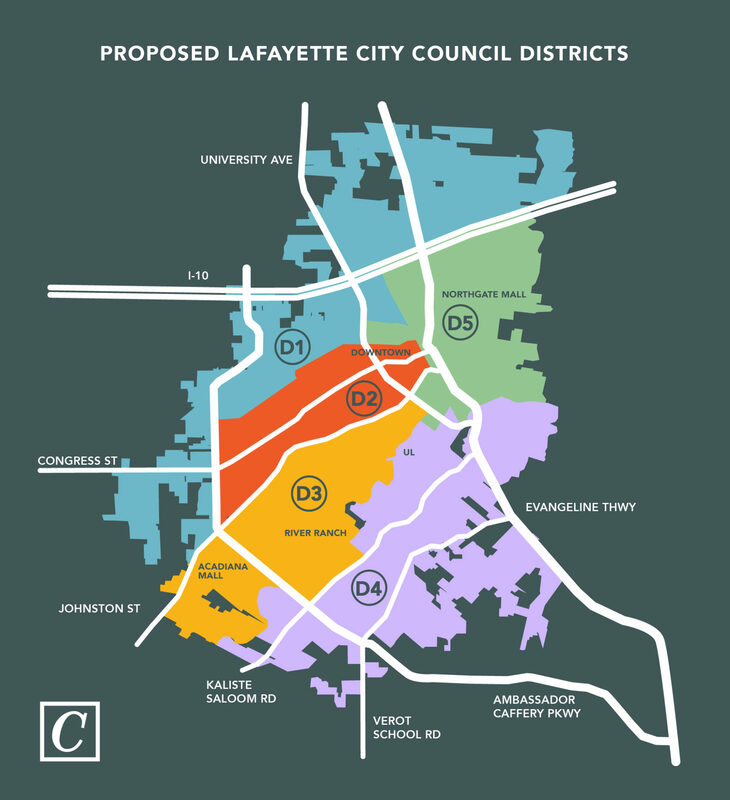 Conventional wisdom holds that the justification for the measure — equal representation for city of Lafayette residents — is obvious enough to make the six votes at final vote on July 24 necessary to put it before voters on Dec. 8 an easy win. But the effort is hardly a lock. The proposed ordinance also includes changes to the zoning commission and to procedures for civil service board nominations and, fittingly, amending the charter. ▸ Where there was one, there would be two. The nine-member consolidated council would split into two new bodies handling the city’s and parish’s respective legislative business. Each council would have five members, growing total area representation by one seat. Otherwise, “consolidated” government remains more or less the same. The city and parish will continue to share public services. The mayor-president would remain an at-large position with parish-wide authority. This is not, by any stretch, deconsolidation. The logic of the move is to create more equal representation for the city of Lafayette and clear up budgetary processes. Councilman Jay Castille, largely viewed as a parish councilman, says the amendment would free up parish-oriented councilmen to focus on that side of the consolidated ledger and bring to fore the parish’s financial trouble, which is arguably papered over by the city’s largesse. “It’s a brand new game” for sitting council members, says Councilman Bruce Conque, one of the amendment’s architects. Creating two new councils would effectively reset term limits for the council members currently serving. That’s a thread of criticism already picked up by Lafayette Citizens Against Taxes. A potential opposition would be that this entire plan is a scheme cooked up to entrench incumbent politicos. The amendment also updates the charter minimum pay (originally $18,000) for the council members’ salaries to the current council pay of $30,356 a year. “It’s changed significantly, I can tell you that,” says Councilman Pat Lewis of his district, which is altered heavily as proposed. Lewis declined to comment further until council discussion on Tuesday, telling me he had only seen the updated maps today. The maps are not yet finalized, but as it stands, Lewis would lose center city neighborhoods and would run his next campaign in a racially split council district. He currently represents one of two majority-black districts on the consolidated council. How the district maps are drawn could be the hill the effort dies on. ▸ What to watch for: Who’s for it and who’s against it. That’s obvious, I know. But the latter half of that equation has yet to be settled. Councilman William Theriot has stated emphatically that he’ll oppose the move. He says it doesn’t fix the underlying parish budget problems. He’s floated the concept of divvying up the unincorporated parts of the parish and assigning them to each municipality. The council vote count favors passage of the amendment but isn’t yet a lock. But even if it passes the council — final vote would occur on July 24 — the amendment would require a general election. Kevin Blanchard, a proponent of deconsolidation, plans to organize a campaign supportive of the amendment. Still, stark battle lines have not yet been drawn. ▸ A wild card: This election season is going to be nuts. Between a potentially electric congressional race and several tax propositions, your mailbox is gonna get positively stuffed. How that impacts this charter amendment vote is a big unknown. The idea doesn’t fall neatly along ideological lines. Those dynamics are difficult to predict. ▸ The gist: LCG has published maps of the proposed independent city and parish council districts. You can find those detailed maps here and here. You can see the current consolidated council districts here. District 1 contorts Pat Lewis’ current district to crawl along the northwestern boundary of city limits. It’s a near even split between black (46 percent) and white (49 percent) voters. Lewis would no longer represent Downtown or UL’s campus. Lewis currently represents a district that’s 63 percent black. District 2 adjusts Bruce Conque’s district to include Downtown but removes the Broadmoor area. District 3tracks the city portions of Liz Hebert’s district with few adjustments. She would pick up UL’s campus from Lewis’ district and continue to represent River Ranch and the area around the Acadiana Mall. District 4 is composed mostly of Nanette Cook’s district in the city’s southeast. Cook’s current consolidated district is a 61/39 split between city and parish constituents. As drawn, the district has an archipelago of unincorporated islands stretching out toward Broussard and Youngsville. District 5, based on Kenneth Boudreaux’s district, is the city’s only majority-minority district — 71 percent of the population is African American. Boudreaux would pick up blocks of Freetown near Downtown currently repped by Pat Lewis and continue representing McComb-Veazey and the rest of Lafayette’s northeastern quadrant. ▸ What about the parish council? The parish council map splits most of the city of Lafayette between two parish districts. Broussard and Youngsville would fall under one parish district that loosely tracks the boundaries of William Theriot’s current district. A western district would essentially merge the districts of Kevin Naquin and Jared Bellard and represent Duson, Scott and a small portion of Lafayette. Jay Castille’s northern district, which includes Carencro and a piece of Lafayette, remains more or less the same. ▸ It’s not all black or white: Federal law governs how the voting maps are drawn to ensure proportionate representation for minorities, in compliance with the Voting Rights Act of 1965. In Lafayette, like the rest of the South, that means we tend to think of Lafayette politics in terms of a power balance between white voting blocks and black voting blocks. Parsing the data here means looking back at the 2010 census, a time when only 5 percent of the city was neither white nor black. Demographer Mike Hefner, who helped draft the proposed districts, says he expects marginal demographic shifts among white and black residents in both the city and parish. However, Hefner expects the parish to see more growth among Hispanic residents in the 2020 census. 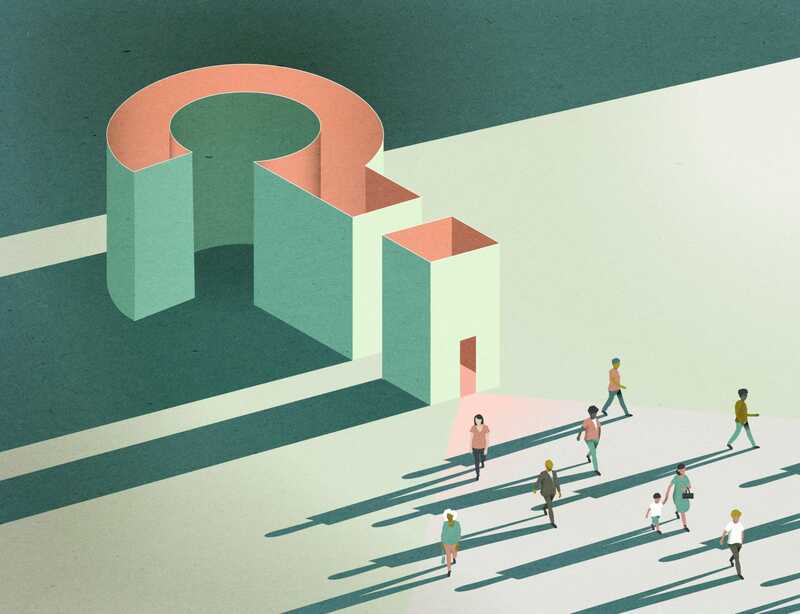 How does Lafayette’s experiment with consolidation stack up with the successes and failures of other consolidated governments across the country? What we know: Two separately owned properties are under contract for an undisclosed redevelopment project: the Less Pay Motel at 120 N. University Ave. and the former Coca-Cola bottling facility at 1506 Cameron St. Representatives of both properties have confirmed independently that the buildings are pending sale, but would not disclose terms or the buyer. UPDATE: A public notice for a $15 million artist loft development called Bottle Art Lofts, located at the bottling facility, links HRI Properties, a New Orleans-based development outfit with extensive experience in historic rehabilitation, to the sale of that property. The development would include 40 units with a "leasing preference" for artists and would be primarily financed with the equity sale of low income housing tax credits. State records list HRI's New Orleans address for Lafayette Bottle Art Lofts, LLC, the company issuing the public notice. HRI also submitted qualifications to redevelop the old federal courthouse, a project that was ultimately awarded to a team helmed by Jim Poché of Southwest Group. It's unclear if HRI is also the buyer of the Less Pay Motel. “A number of things we have wanted to see are coming to fruition,” says Greg Dugan, who has owned the Coca-Cola facility with his wife, Stephanie Cornay Dugan, since 2001. The Dugans currently use the building for fabrication and storage for their company ASCO Window Coverings, located a few blocks away in the La Place neighborhood. Dugan declined to comment further but says more information on the deal will be available by early next week. Dewitt “Zeen” David of NAI Latter & Blum confirms that a sale is pending on the Less Pay property but also declined further comment, citing a confidentiality agreement. 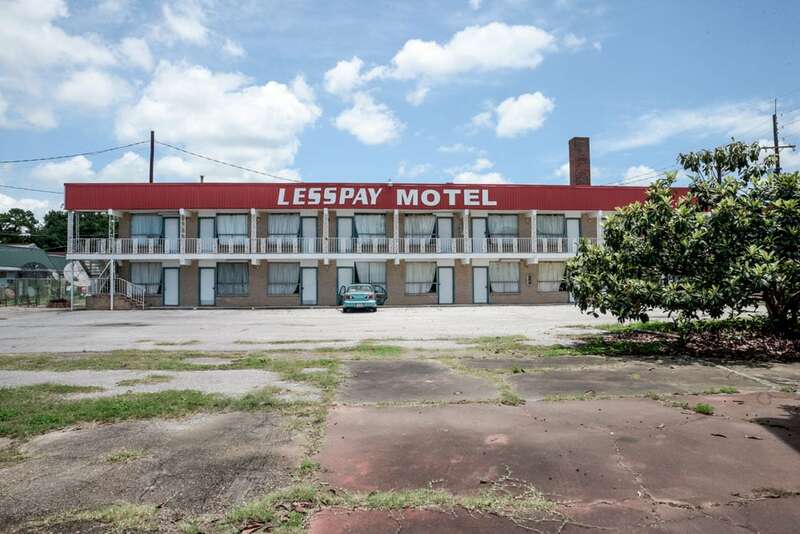 David is the listing agent for the Less Pay Motel, which is owned by M&L International LLC, according to Louisiana secretary of state records. Why this matters: The Less Pay Motel has been an albatross of sorts for Four Corners, a historic intersection that once was a bustling city center. Plans for redevelopment of the site, which at one time envisioned a police precinct under former Mayor Joey Durel, have faltered over the last decade. Mayor Joel Robideaux quashed Durel’s plan upon taking office, saying he preferred to see the property moved into private commerce. A successful redevelopment could be transformative for Four Corners and the University Avenue corridor. Robideaux has made University Avenue a signature development project for his administration, although Dugan notes that he and his wife have been working to redevelop the Coca Cola building since before the Robideaux administration’s initiative began. Dugan says he believes they've found the right buyer to realize a revitalizing vision for the neighborhood. "We’d be very enthusiastic to see that site moved in commerce," says Robideaux. ▸ Love and war: Giuliani’s connection to Guillory is Republican fundraiser Jennifer LeBlanc, who’s been romantically linked to Giuliani in some national headlines. LeBlanc works on Guillory’s campaign. Both LeBlanc and Giuliani have downplayed the nature of their relationship and its influence in courting Giuliani to Guillory’s camp. LeBlanc was a fundraiser for Giuliani’s failed presidential bid in 2008. It’s worth noting that LeBlanc previously worked for Higgins but jumped ship, landing with Guillory. Rephrase that passage with the flourish of the King James Bible and you’d have Clay Higgins. Conservative gadfly Scott McKay has downplayed the divided loyalties, but no doubt that narrative will foam over if Guillory’s bid, currently pegged as a longshot, ultimately presents a formidable challenge to the heavily funded and institutionally-backed Higgins. Guillory is running on character. In a wide-ranging interview with The Bayou Brief, he openly questioned Higgins’ commitment to conservative fiscal responsibility and positioned himself as a compassionate answer to Higgins’ “lightning rod” divisiveness. In a twist of political theater, Guillory appears to be positioning himself as an outsider to Higgins’ inside man. A young attorney and a vet, he has the Romney coif of a genetic Republican. (I mean that as a compliment, if you’re reading, Josh.) With no track record in politics, he’s a clean slate with, thus far, none of the colorful personal baggage towed around by Higgins. The incumbent spent the first year of his freshman term making headlines for staging a publicity stunt in a concentration camp and threatening his constituents on Facebook. Since then, his messaging has sobered up, for the most part. No doubt Higgins’ snafus will resurface during the campaign as a way of contrasting otherwise similar candidates. It’s tough to beat an incumbent, unless he beats himself. 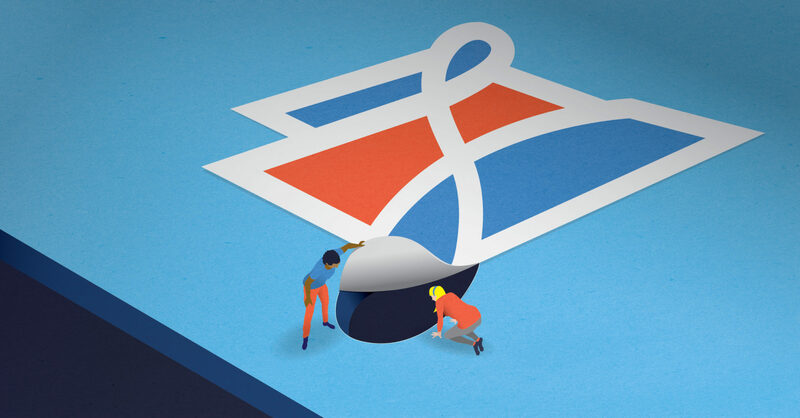 ▸ The gist: Snuck in among some more contentious items on last week’s agenda, a complete streets policy for LCG was formally adopted by the City-Parish Council. The resolution aligns local transportation policy with state and regional codes and will guide transportation and development efforts to include more bike, pedestrian and transit access. ▸ What’s a complete street?A complete street is a thoroughfare that provides equal access to all modes of transportation. To wit: LCG’s own complete streets vision: The desired outcome of the Complete Streets Policy is to create an equitable, balanced and effective transportation system where every roadway user can travel safely and comfortably, and where transportation options are available to everyone. Proponents view complete streets policies as a means of refocusing city development on people instead of cars. Transportation projects designed to meet complete street guidelines include facilities for bike riders, pedestrians and transit passengers from the get go, rather than as retrofits. Complete streets policies have proliferated in the last two decades. The National Complete Streets Coalition boasts 1,200 complete streets policies adopted nationwide (I briefly worked for Smart Growth America, the parent organization for NCSC). Both DOTD and the Lafayette Metropolitan Planning Organization have complete streets policies on the books. Lafayette’s efforts to add bike lanes and pedestrian facilities to roadways have not been without controversy. Bike lane projects on W. Bayou Parkway and Moss Street spurred grassroots opposition among nearby constituents. For opponents, accommodating bike traffic is a waste of money that should go to widening or fixing existing roadways. One important component in the LCG policy is its emphasis on creating a linked network. Today, Lafayette’s bike and pedestrian pathways are laid out in often baffling and dangerous scatterplots. A policy framework to connect a piecemeal network would, theoretically, increase use and help ease car traffic. People aren’t going to bike if they can’t bike anywhere safely and conveniently. ▸ OK. Bike lanes. I get it. What’s the big deal? Over time, a complete streets policy in Lafayette could be transformative. 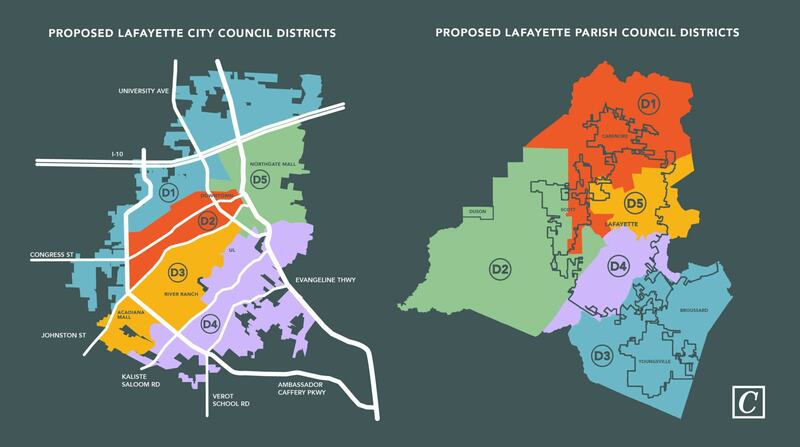 PlanLafayette, Lafayette’s comprehensive plan, already includes some complete streets language, but a formally adopted policy drives the philosophy deep into the asphalt. The language in LCG’s policy directs inter-agency cooperation among LUS, Public Works, and Development and Planning and emphasizes early inclusion of active transportation facilities — the wonky catchall term for bike lanes, sidewalks and transit lines — in projects across consolidated government’s jurisdiction. Like anything else, though, this is about money. Aligning with the MPO’s and DOTD’s complete streets policies can expedite projects that meet the guidelines and requirements spelled out by those organizations. Melanie Bordelon, the Lafayette MPO manager, says complete streets projects will score higher in the regional planning agency’s rating system, meaning roadway projects that include bike lanes or sidewalks and so on could be prioritized. That would potentially give LCG projects an edge in competing for federal and state dollars distributed by the MPO. ▸ Why this matters: Downtown Lafayette has struggled to build momentum over the last decade, but not for any lack of effort or expense. Dyer succeeded Nathan Norris — who actually recruited Dyer to Lafayette during his time as CEO — after Norris resigned in 2016, holding the post for 16 months, beginning first as an interim CEO and easing his way into the position without much fanfare. Dyer continued to pursue an urbanist approach to Downtown development. He played a key role in lobbying for changes to the district’s bar moratorium and recently won council approval to introduce streetside dining Downtown. DDA Board Chairman Pat Trahan says he is disappointed but not shocked by Dyer’s departure, saying that Dyer is a talent in high demand nationally. ▸ The rule of threes: Dyer is the third urbanist-minded talent to leave a politically influential development post for greener pastures. Former LCG Development and Planning Director Carlee Alm-LaBar officially began her new job at Southern Lifestyle Development this week, ending her eight-year run in consolidated government. One Acadiana’s Harry Weiss, who ran the chamber’s urban revitalization efforts, took a public sector job in Oregon. Different circumstances influenced each departure, but it’s hard not to read the cluster of resignations as something of a trend, and a dismaying one at that. Agree or disagree with their work, Dyer, Alm-LaBar and Weiss were the kind of dynamic, forward-thinking leaders that just years ago were attracted to positions of influence in Lafayette. Lafayette’s magnetism appears to be waning. ▸ What to watch for: Downtown leadership turnover. 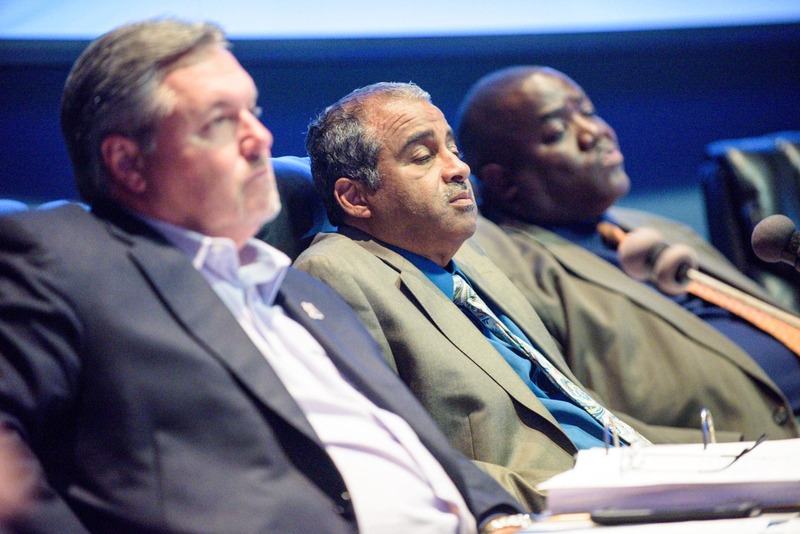 DDA will seat three new board members and a new CEO. Trahan, Donald Broussard and Bryant Poché will term out on the board this August. The search for a new CEO could straddle the board changeover. That’s a challenge or an opportunity, depending on how you look at it. New blood could invigorate the organization with the energy needed to finally unfreeze Downtown’s residential development deadlock. The gist: The council did not introduce or discuss any deconsolidation on Tuesday, but there’s still one more council meeting before the deadline to get a measure on the Dec. 8 ballot. Keep your eyes peeled on July 10. Wait. What do you mean by deconsolidation? Generally speaking, deconsolidation means separating the government functions of the parish and city of Lafayette. Right now, the city and parish have one council, one mayor-president and share several government agencies. That’s the way it’s been since the 1990s. The catch is that only the city of Lafayette and the unincorporated parts of the parish are actually consolidated (as gadfly Andy Hebert points out routinely at council meetings). All the other municipalities in the parish opted out of consolidation. They have their own councils, their own mayors, their own government functions. Meanwhile, city-parish councilmen represent districts that include constituents in the other municipalities. That means, effectively, that a voter in Scott has impact on decisions that affect the city of Lafayette — say, how LUS operates or spends its money — but not vice versa. To a lot of folks, that’s just not fair, nor does it seem to be working out. Consolidation was conceived to fix the parish budget. The parish budget is still broke. 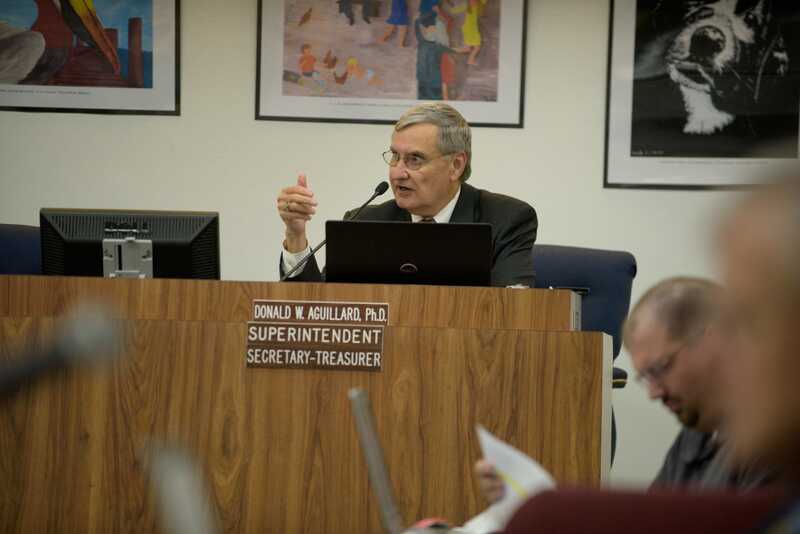 Now, with parish general fund sniffing the bottom and voters in the parish and city pursuing different priorities, a renewed urgency to overhaul consolidation has arisen. The failure of this year’s library tax renewal exposed that value divide clearly: City voters voted to renew the taxes. Parish voters voted against it. More than likely, there won’t be a push for a complete divorce of the two sides of Lafayette government, but rather the creation of separate councils. I guess it’s more of a trial separation. In that scenario, Lafayette would obtain its own city council and more control over its assets and finances, but there would remain one mayor-president for the parish, and the two jurisdictions would continue to share services like the Public Works Department. Seems like a no brainer to me! Well, maybe. There are a lot of thorny and unmapped paths to walk through to get this done. First, what would the maps look like? Redistricting of any sort would tend to get politically dicey. Second, does this actually do anything to fix the unincorporated parish budget? Not really. Deconsolidation dodges that problem altogether. To wit, Councilman Theriot, who does not support the idea of creating separate city and parish councils: “If we were to split, the unincorporated parish would be nothing,” he says. Third, there’s an argument that simply adding a new council for the city of Lafayette doesn’t go far enough. Many of the convolutions would remain problematic, particularly in how the priorities of the mayor-president align with the often competing interests of the parish and city he represents. Maybe a full divorce is what we really need.